Songbird Studios: YouTube Channels You Should Subscribe To NOW! ‘Tis the season for sharing, so we thought we’d package a list of our favorite YouTube Channels and deliver it straight to your fingertips! If you aren’t following these channels, you absolutely should be! Trust us….you’ll wanna bookmark all these as you go! In case you didn’t know, NPR Music is the home of The Tiny Desk Concert Series. It’s a video series of live, intimate concerts hosted by NPR Music at the desk of All Songs Considered host Bob Boilen. Catch some of your favorite artists performing here, discover new music, or submit your own to the Tiny Desk Contest, which happens annually. Tiny Desk Contest winners have been The Bay Area’s own, Fantastic Negrito (2015), Gaelynn Lea (2016), and Tank and the Bangas (2017). 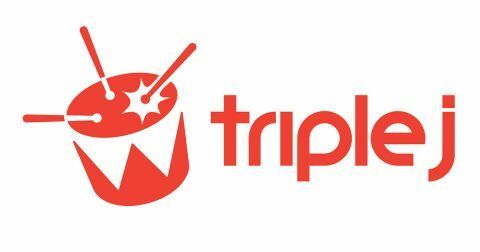 Triple J TV a channel full of Australian television programs which started broadcast in July 2006 as a television spin-off of national radio broadcaster Triple J. It’s home to one of our fave series LIKE A VERSION. On this segment, a musician or band comes into the studio every Friday morning to play one of their own songs and a cover of a song they love, and man are there some GEMS….Everyone from Regina Spektor to Childish Gambino has performed on Like A Version, and their cover tunes are priceless. It goes without saying that WE LIVE FOR CARPOOL KARAOKE!!! If you’ve never seen it, buckle your seatbelt and prepare to ride into the rabbit hole of some of the most entertaining moments with your favorite artists EVER. And James Corden can sing his face off! If you’re a theatre junkie, then I’m sure you already know Natalie Weiss. She’s graced the stages of Broadway and has been on national tours of Les Miserables and Wicked. She has a killer voice. What you might not know, is that she has a web series called BREAKING DOWN THE RIFFS that we’re addicted to! Natalie has a guest singer each episode and they literally break down the most difficult riffs you’ve ever encountered. It’s thoroughly entertaining, and if you’re a wanna-be riffer, you’re gonna be hooked! You all know about TED’s mission of spreading great ideas. Did you know that a TON of these ideas involve music? Hop on the TED Talks Channel or either of its extensions (TEDx & TEDed), search “music,” and get ready to have your mind blown! There’s SO MUCH interesting stuff from ‘Music and the Inner Self’ with James Rhodes to ‘How Sampling Transformed Music’ with Mark Ronson….and much MUCH more! Again, prepare to fall into the rabbit hole of great stuff! iSing is a digital magazine dedicated to singers and singing. They focus on anything related to singing and being a singer with articles, interviews, videos and audios covering vocal technique, performance, the music business, vocal style, creating the artist’s image, recording skills, songwriting, health, being a jobbing singer, album reviews, how to’s and more. This Youtube channel is an extension of the magazine, and if you’re a singer, you’ll find a ton of valuable stuff here! It’s a fun and free podcast for vocalists who want to know what works in singing… in video form! You’ll love our friends Steve Giles and Chris Johnson from the first episode, as they deliver some heavy vocal science and technique in a manner very entertaining and easy to understand. They also talk shop with some of the most renowned vocal scientists and experts in the industry. If you haven’t heard of this guy, you’re in for a treat. 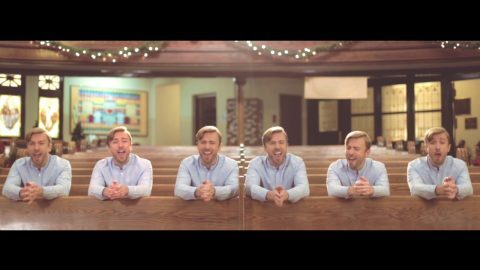 Peter Hollens is an acapella artist, and uses only his voice to create amazing pop covers! He’s got some great collabs & the production of his vids are HIGHLY entertaining! A video channel from the sister site Broadway.com, which is ALL things Broadway! You’ll see vids from all the current Broadway hits here, as well as some great series. Our fave is SHOW PEOPLE WITH PAUL WONTOREK! Paul interviews all the top Broadway stars on this vlog & it’s a must follow for all those passionate about Musical Theater! Last, but not least….Go follow your favorite Vocal Studio’s channel! It’s currently under development, so expect a TON of content this coming year! In the meantime, take a look at the music video from last years Performance Summer Camp, produced by teachers Meghan Kelly & Christina Stogsdill!